I’m originally from Evanston, Illinois, the city immediately north of Chicago, but I’ve lived in central Illinois for the last twenty-five years. There are frustrations common to both places, but I’ve learned that one difficulty that rural areas have that urban areas don’t is the lack of a good-sized population to draw from when you want to do things in groups. So the problems inherent in trying to rebuild a DeMolay chapter in a small town aren’t surprising. Tuscola, Illinois, is the county seat of Douglas County, and has a population of only 4600, which makes it the major metropolitan area around here. 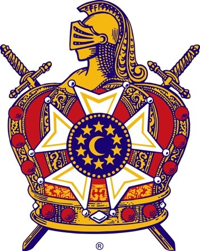 There are a couple of other towns of some size nearby, but the whole county has only 19,000 people in it, so finding boys who would be interested in DeMolay is not the easiest thing. We have an excellent Chapter Dad, and my wife, Debra, who’s on the board of advisors, is a font of ideas, but, in terms of numbers, we haven’t had much success so far. You can read the rest of the article over at the Midnight Freemason website HERE.